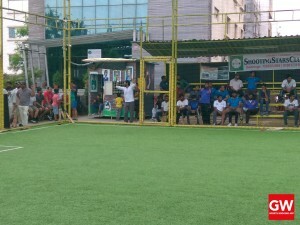 Shooting Stars Club football turf located in hustle and bustle of Madhapur near 100 ft Rd. just 5 mins from Corporate hub in Hyderabad. Just drop in play some football/ cricket and push off to work or refresh yourself with a dose of sports after hard day’s work at office. 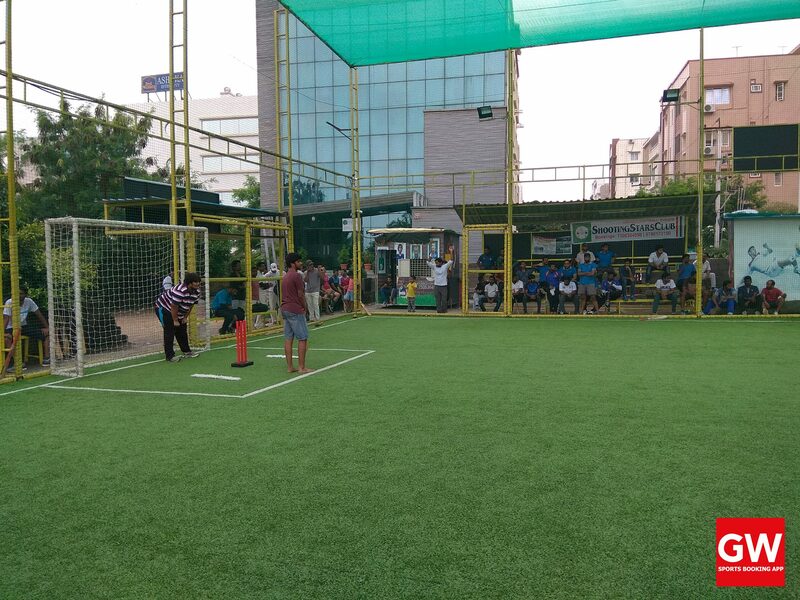 The turf offers excellent surface for 6 a side game of football and Box cricket. 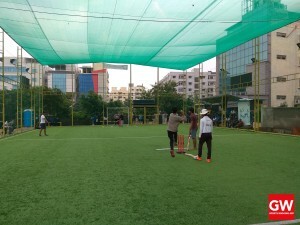 This FIFA approved artificial grass is of appropriate size which is perfect for a game of football and while playing cricket it is even better you don’t need to lay a separate pitch Mat. Over arm or throw bowling gives perfect and even bounce. The well lit turf makes sure you have even luminux at each and every part of the facility. 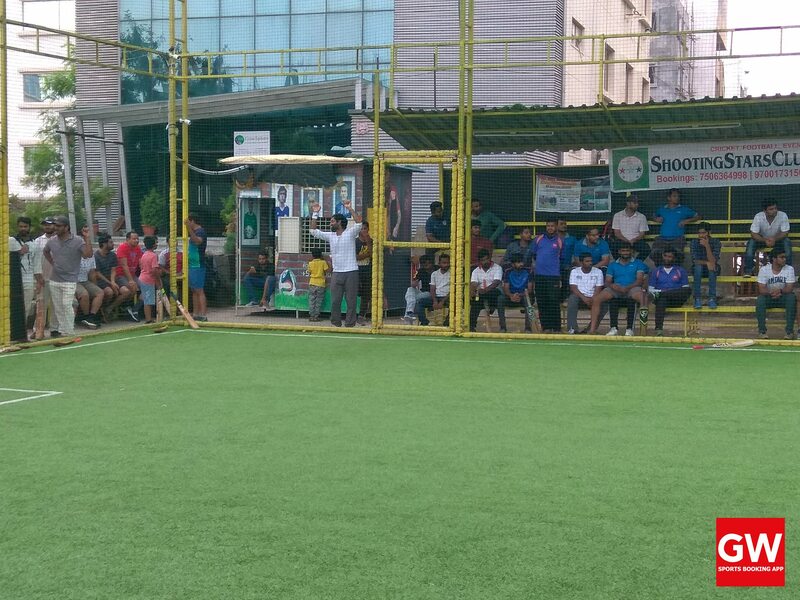 Started in Feb 2017 has quickly grown the popularity among the sports enthusiasts specially because of good quality surface and has also become one of the favorite sports venues for tournament organizers, as they offer pocket friendly deals for bulk requirements. In just over 7 months the facility has hosted over 20 successful tournaments and corporate events. 1. Proximity from work place. 2. 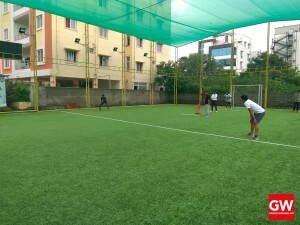 Excellent surface for both Football and Cricket game. 3. Some cool discount offered all throughout the month. And above all sports loving and friendly staff will make sure you make the most of your sports outing at Shooting Stars Club, Madhapur. GroundWala.in is a team of sports lovers with a vision to facilitate sports through its online platform. From facility booking to sports event registration, we offer a range of services to players, sports facility owners, and sports event organizers. Copyright © 2013-2015. All Rights are reserved.